The Head Chef at Edinburgh’s 11 Brasserie at 11 Brunswick Street is set to kick-start the game season with an impressive cooking masterclass at Hopetoun Farm Shop, near South Queensferry. 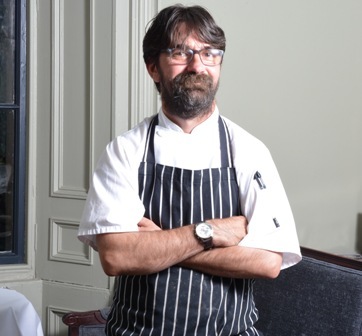 Taking place on Thursday 1st September, the masterclass session will see Willie Lonnie demonstrate how to cook up a mouth-watering menu using a selection of the finest game produce from Hopetoun Estate. A passionate chef, Willie creates traditional Scottish recipes with a modern twist, taking great pride in using Scottish sourced produce. He explains: “For me, ingredients will always be king so working with suppliers who recognise my high standards is essential. Willie’s masterclass will take place at Hopetoun Farm Shop near South Queensferry on Thursday 1st September from 6.30pm until 8.30pm. Tickets are £15 each and can be purchased direct from the Hopetoun Farm Shop or by calling 01506 830716.